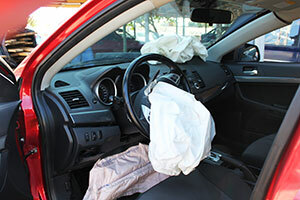 If you were injured in an accident in West Palm Beach where a Lyft driver has been involved, you should talk to the best West Palm Beach personal injury attorney that you can find. The sooner you consult one, the better. If you want to recover financially for the harms and losses you’ve suffered in the Lyft car accident, the first few steps after the accident are crucial. The West Palm Beach Lyft accident lawyers at the Wolfson Law Firm can advise you on what to do after an accident, to help you determine if you are entitled to damages recovery, and what your legal options are going forward. Call our bilingual lawyers for free consultations at 855-982-2067. We represent Lyft passenger, Lyft drivers, and other people who have sustained injuries by a Lyft driver. West Palm Beach is the largest city in Palm Beach County. It is located north of Lake Worth and south of Riviera Beach and Palm Beach Gardens. Palm Beach is on its east side near the Atlantic Ocean. US 1 and Interstate 95 are passing through the city connecting it with the cities from north and south. These are some of the busiest routes in West Palm Beach and, of course, some of the routes that create a lot of business for Lyft drivers in the city. Ridesharing services like Lyft and Uber faced fierce opposition by local authorities when they initially tried to enter the market. The Broward County commissioners led the battle against them, but the tech companies had a great strategy and won eventually. First, they got people on their side through offering a convenient and affordable service, but then stopped operating in Broward, blaming authorities. The public outcry eventually led to changes in the law and a victory for Lyft and Uber. Uber is dominating the ridesharing market in the US, but the internal issues occurring in the company in the last few months were used well by Lyft and they managed to get 35% of the US market share. By becoming an exclusive ridesharing partner of Brightline in Florida, their share is set to grow even more. The West Palm Beach Lyft Accident Attorneys at the Wolfson Law Firm help good folks injured in Lyft accidents throughout Florida recover compensation that they deserve from Lyft and other ridesharing companies. We invest our 50 plus years of experience in our clients' cases and fight aggressively to help them get the compensation they deserve. Call us now at 855-982-2067 for free consultations. We don’t ask for fees unless we recover for our clients.